Here's a few tips and tricks to help you become the very best. If you’ve been working towards becoming the best trainer you can be in Pokémon Sun or Moon over the past few weeks, odds are that you have started to fight against the leveling limitations every Pokémon game is known for. This time around, it seems like leveling up your dream team is a little more difficult compared to previous versions too, but that’s probably because the development team has tucked away a few little secrets into the game you may have missed. Here’s a few tips and tricks for leveling up your Pokémon as fast as possible. Some players have reported being able to obtain the Lucky Egg earlier in the game by collecting 50 Pokémon on Melemele Island before leaving for Akala Island and then speaking with the Professor, but we haven’t been able to test this out ourselves. It’s certainly worth a shot though! Once you’ve gained a team of experienced Pokémon (40+), the Battle Buffet on Melemele Island is going to be your key ticket to leveling up any additional Pokémon you want to train for your team. You’ll find the Battle Buffet in Hau’oli City in the mall located by the Shopping District. Head up to the counter and speak with the hostess to enter the buffet for 1,200 PokéDollars. Here, your goal is to collect as much food as possible in 10 turns, but whenever you grab some, you’ll have to participate in a Pokémon Battle with a trainer. They’ll start out at low levels, but when you become a more powerful trainer they will start to evolve into more formidable opponents. The key here is to pick your strongest Pokémon and then bring along one or two lower-level ones you’re looking to train. Hand them the Lucky Egg, then use the Exp Share item while battling trainers continuously with your higher-level Pokémon — just make sure you can one-hit KO every trainer’s Pokémon to make it in the 10 turns you have. Experience will start to pour in for your lower-level Pokémon as you steamroll through trainers with your max-level Pokémon, and they’ll catch up in no-time. Just remember, the more you bring, the more experience is shared, resulting in a slower leveling time. 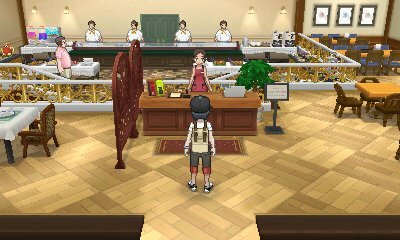 Unfortunately, you can only use the Buffet once per day though compared to the restaurant in Pokémon X and Y, which limits its effectiveness compared to grinding in wild and trainer Pokémon battles. No matter where you’re currently at in the main storyline behind Pokémon Sun or Moon, there will always be an optimal leveling spot with powerful Pokémon for you to train your entire team with. Since the Battle Buffet is limited to one use per day, you’ll often have to defer to training your team in the wild instead of continually running through the food gauntlet like you could previously, which means you need to pick a few spots you can fall back on when training your team. Every time the game encourages you to move on to the next island, we recommend you take some time and pick a location to grind out a few levels fighting wild Pokémon. This not only gives you a distinct advantage when you move on, but also allows you to fill out your Pokédex with plenty of new entries from the island you’re about to leave. Melemele Island is host to Ten Carat Hill, which will be the best place to grind out some levels for your entire Pokémon team until around level 15 or so. 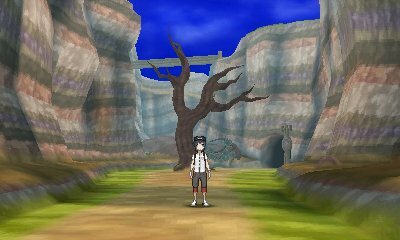 Once you’ve reached Akala, Paniola Ranch and Akala Outskirts are going to be your best bet to reach level 30 plus, which will get you into Vast Poni Canyon where wild Pokémon are usually 40 or higher. You’ll also find high-level Pokémon around the Altar of the Sunne (or Moone), found at the end of Vast Poni Canyon that you can grind levels on as well.